When you want to remove stains from any area on your through coloured rendered property, call in an expert stain removal company. 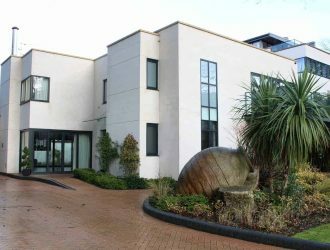 Rust Stains need special gentle treatments to ensure all rust contamination has been thoroughly removed from the surfaces to ensure a clean, smooth looking render remains without being damaged by steam and harsh pressure. Organic stains are often green, reddish orange, black and sometimes bluish in colour. 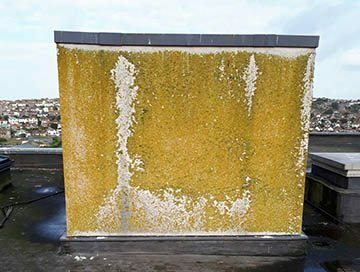 Different types of Cyanobacteria’s, Lichens and other types of plant life have taken up residence on the rendered surfaces of your once clean looking building. The safest way to remove this type of pest is to sanitise it using a SoftWashing recipe applied by a certified applicator from a SoftWashing company. 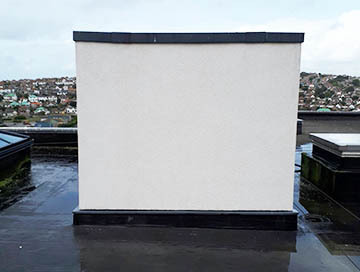 Hard Water stains make the render appear white wherever the water has dripped from, sometimes spreading across large parts of the structures surfaces. 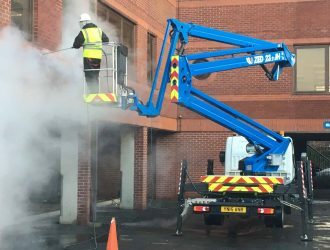 Special attention is often required in the use of applying de scalers carefully, and more often than not a very low pressure steam is required to help lift off the contamination without causing damage to the render. Man Made when you have paint or graffiti on the very rendered surfaces of your building it is essential to remove as fast as possible. 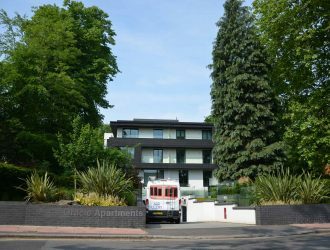 Different brands of render react differently to various types of paint, you can imagine the infinite variety of paint colours and types of through coloured renders too numerous to mention. However, in most cases paint soaks into the renders and needs drawing out very carefully. It may mean multiple visits, first one applying a poultice to draw out the paint. 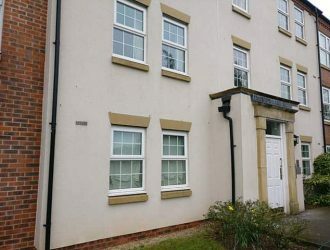 Although most of the paint will disappear, traces may be seen from different angles when viewed and this cannot be avoided and the only way may be to replace the render itself with new render applied after the old has been removed. Remove stains from render as soon as possible to avoid “dying” effects occurring. 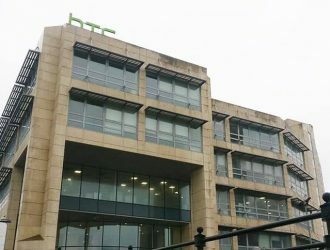 It is often wise to have the whole buildings render cleaned by a SoftWashing company who offers a backup stain removal service should anything happen during the years in between cleaning. When you need help, call Purple Rhino Today on 0800 1577484 to arrange your no obligation quotation.